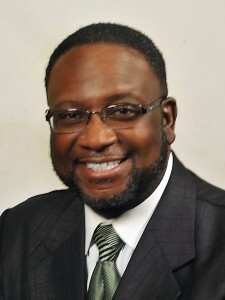 A native of Mobile, Alabama and the son of Mother Maggie B. Yates and the late Deacon Robert L. Yates, Sr., President Yates became pastor of Zion Hope Primitive Baptist Church, Pensacola, in 1985—after having served as pastor of Mt. Lebanon Primitive Baptist Church in Waxahachie, Texas for 9 years. As pastor of Zion Hope—a fast growing church, Elder Yates led the Zion Hope Family of Faith into a 27,000 square foot multi-purpose complex known as the Center of Hope for Family and Community Life in 2003. Presently, he serves on a number of boards and advisory councils in the Pensacola area. Elder Yates is married to the former Vonda Allen and they have one daughter, LeBrea. Inspired by a desire for unity and Christian fellowship among Primitive Baptists in the United States of America, this national organization was organized in 1907 as the Colored Primitive Baptists of America (now known as the National Primitive Baptist Convention, USA). Representing churches in 18 states, its mission is to promote unity among its people; foster the cause of education, evangelism, and mission; and participate in worship experiences.